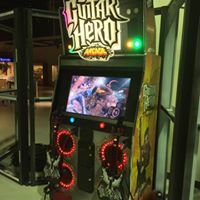 Game Changers is a travelling exhibition which explores the fascinating innovation which has shaped the video game industry. About 100 people attended the opening reception on February 7th which was sponsored by Saskatoon companies Noodlecake Games and Bartari. Regan Mandryk, Professor and Games researcher at the University of Saskatchewan, joined a panel of games enthusiasts and historians at the Western Development Museum in Saskatoon to launch this exhibit on the past and future of video games curated by the Canada Science and Technology Museum in Ottawa. She was joined by Ryan Holowaty of Noodlecake Games and Sean Tudor from the Canada Science and Technology Museum for a Question and Answer session moderated by Liz Scott, the WDM’s Director of Research. 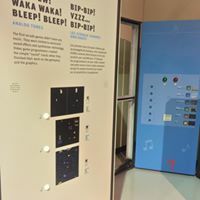 The exhibit will be at the Western Development Museum in Saskatoon from February 7 to April 30. 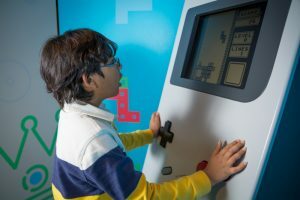 Get your game on – delve into the history of gaming and your learn about your favourite video games.